To get the highest quality image for your television, you will need a digital TV antenna. 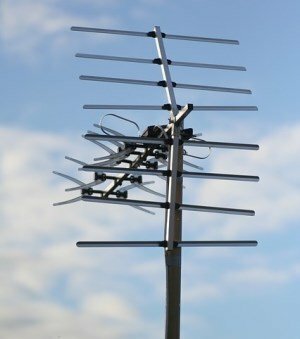 Digital signals are now used for TV in Australia, and so digital antennas will deliver the best reception and best TV image, although analogue TV antennas will still work. 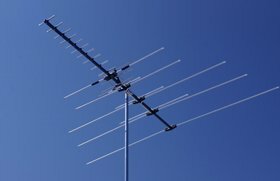 Analogue TV antennas will still work, but they will not deliver great reception like a digital antenna will, so it is recommended to use a digital TV antenna. Our trained technicians are expects in installing, upgrading, and fixing TV antennas, and we will help your television experience by installing, upgrading or fixing a digital TV antenna for you. TV reception and quality can be affected by the weather. To ensure the highest quality TV experience, a digital TV antenna will need to be positioned and secured correctly. Our team of trained technicians have been working with antennas for years, and will position, secure, and make sure that your digital TV antenna is set up to provide the best experience for you. Digital antennas deliver the highest quality image for your television. This is because the newest digital quality can only be completely delivered by a digital antenna, so even though an older analogue antenna will still work, it is recommended to use a newer digital antenna because your television image quality will be far higher, and your television reception will be much more consistent. In order to make full use of an HD TV, a digital antenna is recommended instead of an older analogue antenna, because HD TVs support higher quality images, which the digital antenna is able to use. The team at Adelaide Telefix have years of experience and can provide high quality digital TV antennas, as well as upgrade older analogue antennas so that your television experience is the best it can be. If you need to upgrade, install, replace, or fix an analogue or digital TV antenna, Adelaide Telefix is ready to help. Our technicians and our antenna repair service has years of experience working with television antennas and they will work out the best solution for your television, so that you can enjoy high quality TV reception and quality. Contact Adelaide Telefix today to get your digital TV antenna.